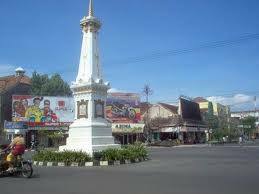 A thousand years ago, the area now called Yogyakarta (often also called Jogja, Yogya, or Yogya) is a center of Old Mataram kingdom prosperous and has a high civilization. This is what founded the Kingdom of Borobudur temple which is the largest Buddhist temple in the world, 300 years before Angkor Wat in Cambodia. Other relics of Prambanan, Ratu Boko Palace, and dozens of other temples scattered in Yogyakarta (see Tour Temple). But by some mysterious reason, the Ancient Mataram Kingdom government to move the center of East Java in the 10th century. Magnificent temples were abandoned and partially buried by the eruption of Mount Merapi material. Slowly, the Yogyakarta region went back into the dense forest. Six hundred years later, Panembahan Senopati establish the Islamic Mataram Kingdom in this region. Once again the history of the kingdom of Yogyakarta to witness the great master of Java Island and surrounding areas. Islamic Mataram Kingdom was leaving a trail of ruins of fortress and royal tombs in Kotagede now known as silver handicraft center in Yogyakarta (see Tour History). Giyanti agreement in 1755 dividing the Islamic Mataram Kingdom Kasunan Surakarta be based in the city of Solo and Yogyakarta Sultanate who founded his palace in the city of Yogyakarta. Kraton (palace) was still standing until now and still serves as the sultan and his family residence, complete with hundreds of servants in the palace who voluntarily run a tradition in the midst of changing times. At the Palace, each day there are cultural performances such as wayang kulit performances, gamelan, Javanese dance, etc. (see Schedule of Events). Yogyakarta at present is a place of tradition and modern dynamics of walking side by side. In Yogyakarta there are courts with hundreds of loyal servants in the palace who runs the tradition, but there are also Gadjah Mada University who is one of the leading universities in Southeast Asia. In Yogyakarta, some people live in an agrarian culture that thicker, but there are also the students with life-style pop. In Yogyakarta there are traditional markets and craft goods while standing next to the mall, no less hectic. At the north end of Yogyakarta, you will see Mount Merapi stands proudly as high as 9738 feet. This mountain is one of the most active volcanoes in Indonesia. Impressions ganasnya 2006 eruption of Mount Merapi and can be witnessed in the village of Kaliadem, 30 km from the city of Yogyakarta. Mooi Indie style scenery of green paddy field nan and Mount Merapi in the background can still be seen on the outskirts of the city of Yogyakarta (see Nature Tours). In the southern part of Yogyakarta, you will find many beaches. The most famous beach is a legend Parangtritis Nyi Roro Kidul, Yogyakarta but also has natural beaches in Gunung Kidul beautiful. You can see the beach Sadeng which is an ancient estuary of the Solo River before a powerful tectonic forces lifted the surface of the southern part of Java so that the flow of the river turned to the north like today. You can also visit the beach which has a 250 point Siung rock climbing, Beach Sundak, etc. (see Beaches). Malaysia has the world's tallest twin towers, Prambanan Temple, Yogyakarta has a towering 47 meters tall and are made by hand in 1100 the previous year. Singapore has a modern life, Yogyakarta has a traditional agrarian society. Thailand and Bali has beautiful beaches, Yogyakarta has the natural beaches and Mount Merapi, which contains the story of how powerful the forces of nature. A unique combination of ancient temples, history, traditions, culture, and natural forces make a very worthwhile place to visit Yogyakarta.